What happened to number of bids? 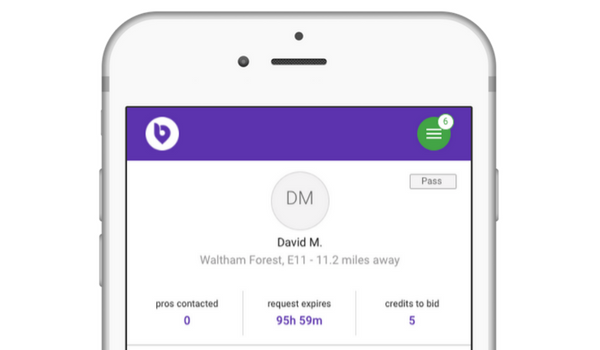 If you’ve been using Bidvine for a while, you may have noticed that Pros Contacted has now taken the place of Number of Bids. We’ve received a lot of feedback from professionals they’d like know how many pros the customer was speaking to at the time of bidding. Because of this, you’ll now see Pros Contacted when reviewing requests on Bidvine. Pros Contacted gives professionals a better understanding of how many professionals a customer is interested in. What else will I know about a request? At Bidvine we work hard to help professionals grow their business quickly and cost-effectively. This means ensuring that you have the best information when deciding to bid on a request. As usual, if you don’t phone the customer (i.e. reveal their phone number) and they don’t view your bid in 4 days, your credits will be auto-refunded. After you’ve sent your bid, you can take a look at Bid Insights to understand how you compare to the other bidding pros and the actions the customer has taken thus far.